Wedding planning tips and advice from some of my favourite wedding suppliers including a DJ, stylist, venue wedding coordinator and cake designer. Oh and some from me too of course! 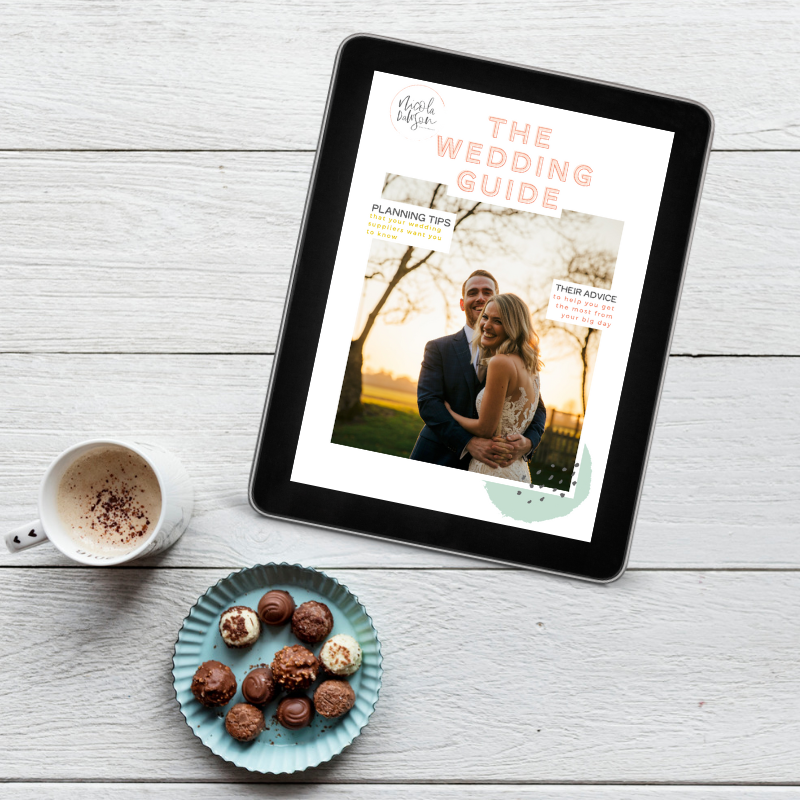 We share our thoughts on light, timings, choosing and styling your venue, cake, music and a few other bits to really try and simplify some of those decisions you may find yourself facing during wedding planning. Just sign up to grab your copy. Don't worry, I promise not to bombard you with hundreds of emails. Just some inspiration and tips to help with your planning.